memory palace « CONSTABLE RESEARCH B.V. The System of Life is growing in size and in complexity, and so do the infrastructures sustaining it. 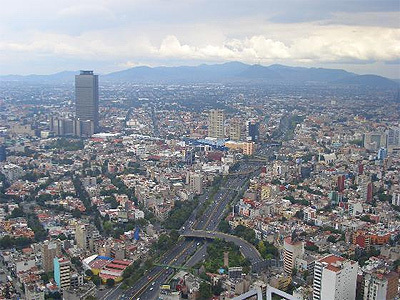 In 2008 the point was reached where more than 50% of the world population lives in cities. That percentage is growing. By 2030, over 60% of the world’s population – nearly five billion people – will be living in urban area. The System of Life is generating Super Organisms and the City is one of them. Urbanization is only a relatively recent phenomenon. As far as we now know urbanization started in Mesopotamia around 4000 – 3500 BC. For the Ancient Mesopotamians, the cities were the centers of life. Their beginning of time was not a Garden of Eden, but rather an ancient site called Eridu, which they believed was the first city ever to be created. The creator of Eridu was Enki, the God who came out of the Deep Waters of the Ocean (the Abzu). The city of Eridu was destroyed by the Great Flood in 3117 BC. Every time one of the Rulers of a City took control over many Cities and a State was created with a new Center, the Capital. In the Center of the Capital the Palace of the Ruler was situated. What we see is an Expanding Pattern in which the same Structure repeats itself all the Time. Initially the two life-essential resources for cities were Water and Food. As Cities grew and as technology evolved, the supply of these resources became dependent on energy for processing, for pumps and for transportation. In the process, cities and their resources evolved into a system of life energized by the individuals that populate cities, and fuel its dynamics. The Law of Kleiber shows that Bottum-Up Structures are more efficient than Top-Down Structures. It also shows that Big Structures are more efficient than Small Structures. The Law is applicable from the level of the Bacteria to the Level of the City and higher. These two statements are a contradiction until we realize that there are two ways of looking at the same structure. One view is the Top-Down View. The other is the Bottom Up View. When we look Down we see a huge Hierarchy and start to believe that Big is Beautiful. When we look Up we see that all the work is done by Small Cooperative Components starting at the Bottom with the Bacteria. The Law of Kleiber is explained by the fact that all the organisms (including the Cities) contain the Same Fractal Structure. In the Beginning the Chemical Soup generated Self-Reproducing Chemical Factories. These Factories combined into bigger Factories by exchanging and combining their Factory-Designs (DNA-parts). Every time when the Factories fused they became more Efficient, Bigger, Stronger, Older and therefore more Competitive. When the Factories became more Competitive they started to Protect themselves against the other Factories. To Protect themselves the Multi-Cellular Systems began to Sense in Many Directions and became better and better in Predicting the Future. One of our Ancient Ancestors is the Sponge which is a static Cluster of Bacteria. Scientist have detected that the DNA of the Sponge has a lot in common with the Human DNA. The Sponge contains the Basic Fractal Structure, the Tube. In a later stage our Ancestors developed something we call a Brain. The Brain is used to Sense the Now and Predict the Future. The Human is a Moving Sponge who is able to Imagine. With his Imagination the Human is capable to Change the Future (and the Past). 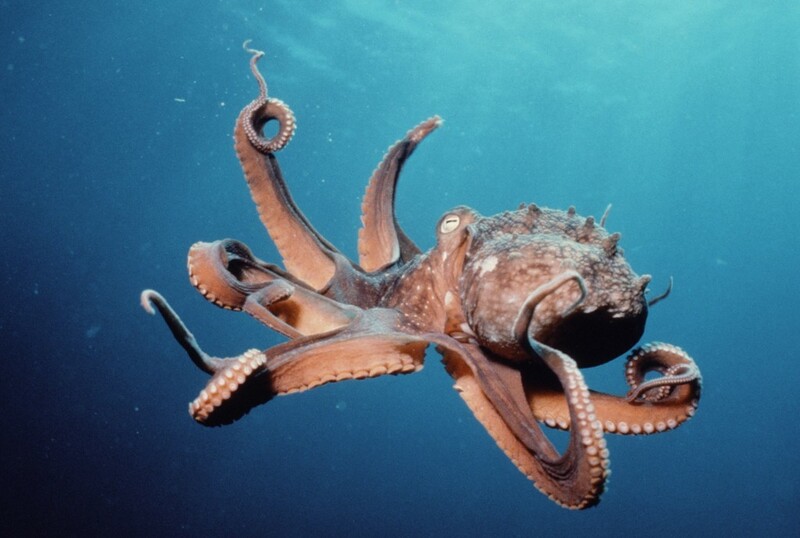 The Octopus is a Sponge with a Brain. The Law of Kleiber can be explained by the principle of Self-Reference (Similarity, Fractals). The Small Structures at the Bottum combine into comparable structures on a higher level. What we don’t see is that the structures on every level can be decomposed in the Same (DNA-)Components with a different Scale and a different Name. Innovation is nothing but a Combination of the Components in many different ways until all the combinations are made. At that moment One of the Combinations becomes the new DNA and a new Level is explored. Life explores every possible path. A City is a Combination of Houses. 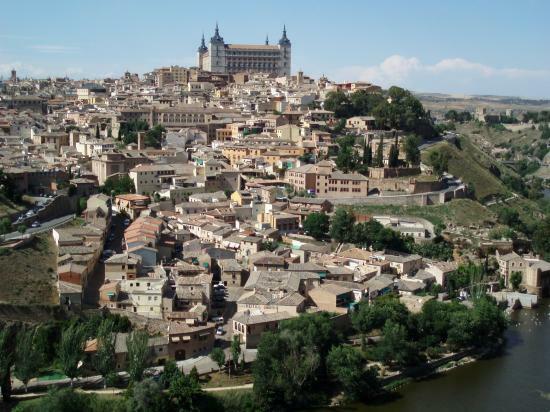 A City protects a Cluster of Houses. A House protects a Cluster of Humans and a Human protects a Cluster of Organs. All the way down to the Bacteria, Cooperative Clusters are formed that give the participants a more Secure Way to Live. A House is a Body. It supports the Body but it also contains all the Bodily Functions. If we provide the House with these Bodily Functions the House becomes more Sustainable. It is possible to regenerate the Waste that the Humans produce into Energy just as the Liver is doing in our Body. If we Cluster the Bodily Houses into a City and we provide the City with the same functions of the Body we are able to create structures that are independent of the input of external Top-Down Sources of Energy and Food. If we are able to detect the DNA of the House and the DNA of the City we are able to Compose new Types of Houses and Cities that are Adaptable, Scalable, highly Sustainable and are also in Balance with Nature. It will also be much more easy to Destroy or Move buildings and cities to another Place without the production of Waste. In the Miedeval City the Major Cycle was the Cycle of the Seasons. In the Modern City we have become almost independent of the Cycles. We import Food and Energy out of every place in the World. It takes a Lot of Energy to transport the Food and Energy and Many Places on Earth are dependent on a small amount of other Places that contain the Sources of our always increasing Need to Survive the Effects of our Environment. When a lot of People (The Slaves) are dependent on a small amount of people (The Masters), the Masters start to dominate the others and increase their Power until Eternity. Power is the most important Addiction of the Humans. The problem becomes bigger when we realize that many people are producing Food and Energy but are themselves not able to use the Food and the Energy they are producing. The independence of the Cycles has created a huge unbalance. This unbalance is not only visible in the City but in every place on Earth that is providing Energy and Food to sustain the Modern City. The only solution to this problem is to create self-sustaining (autarkic) Cities that are able to supply their own food, water and energy. When we want to restore Balance we have to Synchronize the Cycles in the City. This can be done with the help of Smart Technology (Sensors, Actuators, Analytics) but we can also make use of very old fashioned techniques that were used in the Middle Ages. When Humans communicate from the Heart and focus on the same subject, the Humans start to Synchronize. They become a Group. The most important structure in the Miedeval City to Synchronize its inhabitants was the Building of the Heart, the Church. The Church was always situated in the Center and was visible from a long distance. The Church was also the only place where people were always Protected. The Human Heart is doing the same thing as the Church is doing in the City. 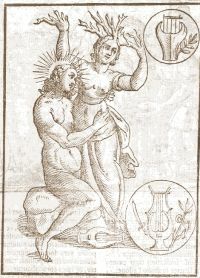 It connects the Mind with the Organs of the Body and the Pericardium provides one of the major Rythms of the Human Body. If we want to Synchronize the City we have to create a Center where People are able to Commun(e)nicate about the Shared Goals of the City. The most important way to share can be found in the Human Culture. The Centres have to contain all the ways Human Culture is performed. 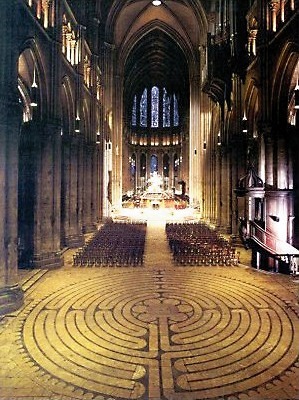 Art, Music and Singing were United in the Medieval Cathedrals. The Medieval Cathedrals also contained all the Knowledge (The Memory Palace) that was needed to understand the Universe. If we want to Synchronize the Modern City we have to build Modern Cathedrals in the Center of the Center and use them as Places to Commune, to Educate, to Make Music, to Dance and to Sing. We have to design them as Modern Memory Palaces (Simulators) to teach the Masses about the Fractal Universe and give them Feedback about the State of their own Environment. 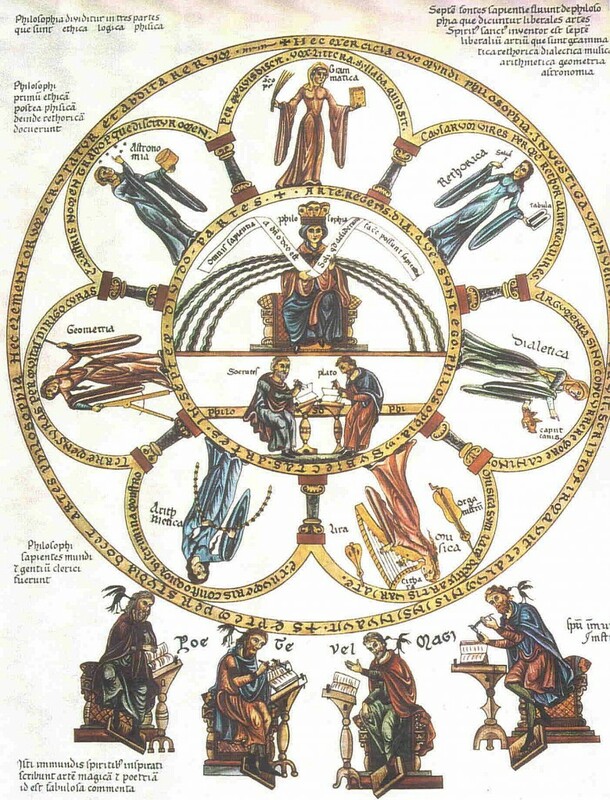 In the 5th century AD, Martianus Capella defined the Seven Liberal Arts: Grammar, Dialectic, Rhetoric, Geometry, Arithmetic, Astronomy, and (Musical) Harmony. The System of Capella became the model of the Medieval University. The term liberal means “appropriate for free men“. The Liberal Arts represented the kinds of skills and general knowledge needed by the Elite. The Servile Arts represented Specialized Tradesman Skills and knowledge needed by persons who were employed or owned by the Elite. The Number Seven was not taken by Accident. This number represented the Seven Days of the Week, the Seven Spheres, the Seven Planets, the Seven Notes and the Seven Colors. The Seven Planets of the old cosmology included the Sun (Sol) and the Moon (Luna), which we now don’t regard as planets at all. The other Five were Mercury, Venus, Mars, Jupiter, and Saturn, the 7th planet and the Son of the Sun. 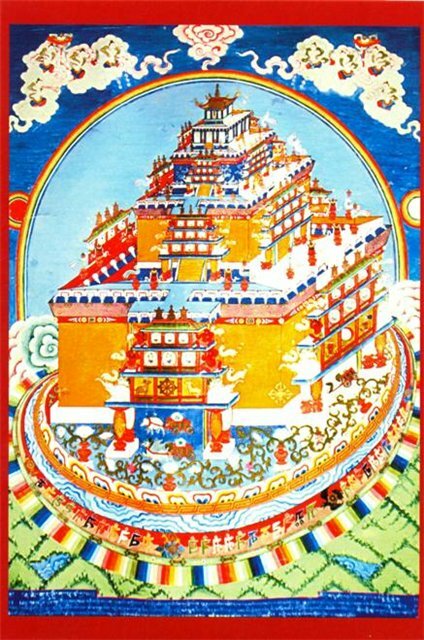 In Ancient Babylonia, the Seven Spheres were represented by a Building , A Ziggurat, that looked like the Tower of Bable. This Babylonian Step Tower was a Visual Model of the StairWay to Heaven. 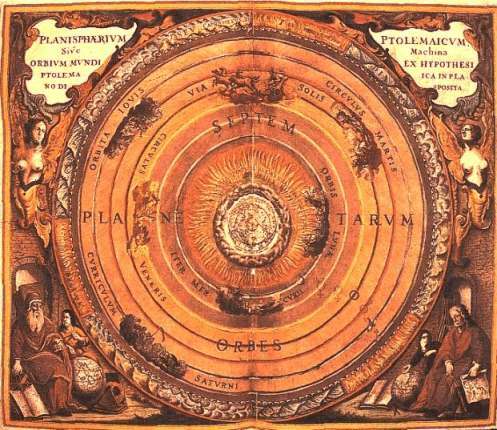 The Seven Spheres were divided in three Heavens and three Hells with the Earth in the Middle. The Pyramids in Egypt are based on the same model. 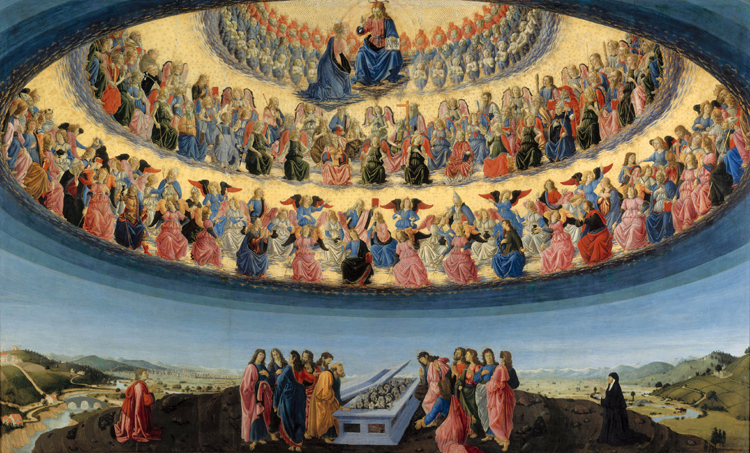 The Three Heavens contained Three Hierarchies of Angels, Nine in total. At the Top, the Eight Step, the Creator was situated. Again the Creator consisted of three Entities, The Father, The Son and The Holy Gost (The Trinity). As You can See the Number Three plays a very important role in the Ancient Models. The main reason could be that this number is the most efficient number when you want to create a Number System. If you use this number as the Base System the Universe could be explained as Triangels within Triangels. With the help of the Trinity-Fractal Ancient models like the Tree of Life, and the Egyptian Pesedjet are easy to understand. The Trinity-Fractal comes back in modern Physics as the Triangel of Pascal. In Ancient China the Triangel of Pascal was called the Wei Chi. The Wei Chi was used to play the Game of GO. In 1275 Raymond Lull designed a tool to Classify and Generate all the Knowledge of the Universe based on a Set of Nine (3×3) Concepts. His invention was described in his book Ars Magna (“The Ultimate General Art”). Lull’s logic machine consisted of a stack of concentric disks mounted on an axis where they could rotate independently. The disks, made of card stock, wood, or metal, were progressively larger from top to bottom. As many as 16 words or symbols were visible on each disk. By rotating the disks, random statements were generated from the alignment of words. Lull’s most ambitious device held 14 disks. The disk contained the Nine most important (Christian) Concepts of the Universe: Bonitas (Goodness), Magnitudo (Greatness), Eternitas (Eternity), Potestas (Power), Sapientia (Wisdom), Voluntas (Will), Virtus (Virtue), Veritas (Truth), and Gloria (Glory). Lull’s fame as a Mystic spread throughout Europe during the late Middle Ages and Renaissance. Centuries later, the German mathematician Leibniz acknowledged the importance of Lull’s Machine. The idea for the machine came to Lull in a Mystical Vision that appeared to him after a period of fasting and contemplation. In reality, Lull may owe his Divine Inspiration to the Magi. They used a Device called the Zairja, an Idea Generator that used the 28 letters of the Arabic alphabet to represent the 28 Categories of Thought in Arab Philosophy. 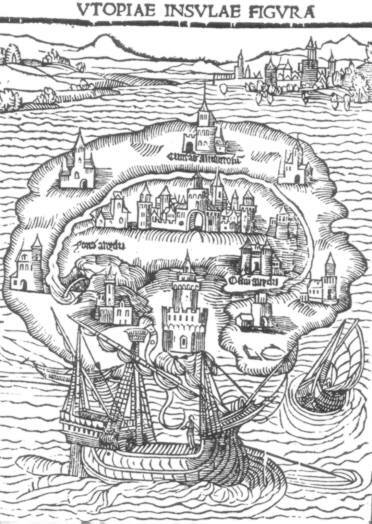 In 1516 Thomas Moore published his book Utopia, a description of an Ideal State. Much later Tommaso Campanella (The City of the Sun), Francis Bacon (The New Atlantis) and Johannes Valentinus Andreae (Description of the Republic of Christianopolis) wrote comparable books. The books were based on Plato’s Republic. 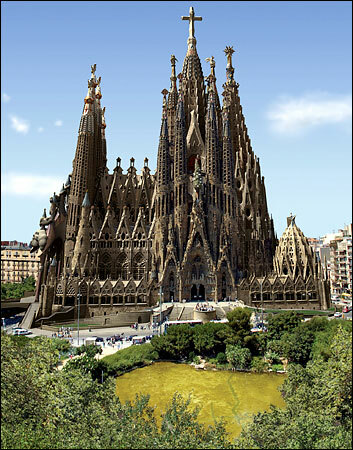 All of the books contained Architectual Designs based on Ancient Geometries. Around 1300 Wealthy and Powerfull Merchants (de Medici) in Italy regained interest in the Ancient Knowledge of the Egyptians, the Arab, the Greek and the Romans. This knowledge was almost completely destroyed by the Church of Rome. 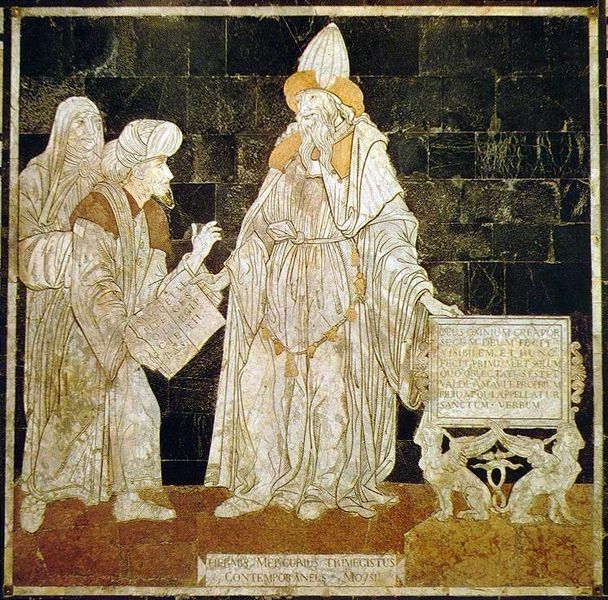 Scientists, Poets and Artists (Petraca, Dante, Boccaccio) visited Byzantium and discovered ancient manuscripts written in Greek and Latin. Greek scholars were encouraged to come from Byzantium to Italy. Byzantium and Europe was ransacked for copies of the long unused Latin classics and copyists multiplied them. Libraries were founded, and schools for the study of both Greek and Latin in their classic forms were opened at Rome, Mautua, Verona, and many other towns. After the fall of Constantinople in 1453 the proces gained a further impetus because of a number of Greek humanists who moved from Byzantium to Italy. In 1462 the Platonic Academy was opened in Florence under the patronage of Florentine Duke Cosimo de’ Medici. Its leader became Marcilio Ficino. Around 1463 Cosimo de’ Medici commissioned Marsilio Ficino to translate a book called the Pimander with high priority into Latin from a Greek manuscript brought from Macedonia. This book contained the Corpus Hermeticum that was attributed to Hermes Trismegistus. Hermes Trismegistus “Thrice-Wise“was named Thoth or Djehuti in Ancient Egypt. The Djed of Djehuti represents the Power of the Snake (the Kundalini) in the Spinal Column. Thoth was the Scribe of the Gods, the inventor of writing, and was usually depicted in hieroglyphics with the head of an Ibis Bird. This head of the IBIS carried the Moon, the Planet of the Mother God, The Night and of Magic. Thoth, the Ibis with the Moon on his Head and the Human represented by the Ape. 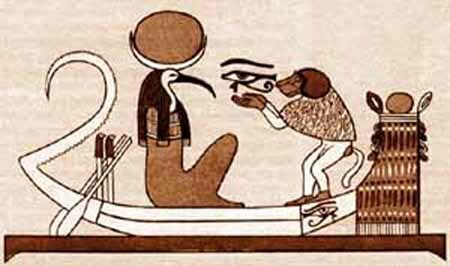 The Ape uses the Eye of Horus (the third Eye) to look at Thoth. The Eye of Horus is the Pineal Gland, the Seat of the Imagination in the Brain. At that time Scientists believed that the Older the Truth the Bettter. They believed there was once a Golden Age in which the Eternal Truth was known. From that time on History was in a Downfall until the time of the Resurrection. Marsilio Fucino dated Hermes Trismegistus “long before the sages and philosophers of Greece, but yet after Abraham, Isaac, Jacob, and Joseph“. His dating of the Corpus “proved” that the writings of Hermes contained the Primal Source of Wisdom. In 1945 Coptic fragments of the Corpus Hermeticum together with many other Gnostic Writings were found at Nag Hammadi, Egypt. At this moment we know that the Corpus Hermeticus just like the Emerald Tablet ,another text dedicated to Hermes, was written in Alexandria around 200 BC. Alexandria, created by Alexander the Great, was the place where the Ancient Knowledge of Heliopolis ,the City of the Sun, was stored in its immense libraries after its destruction. A part of this library was later moved to Byzantium, the Center of the East when the library of Alexandria was destructed. The most important message of Hermes is that the Physical World is the Manifestation of the Spiritual World. This is summarized in the Hermetic adage “As above, so below.” At this moment we would name the concept of “As Above, So Below” a Self-Reference or a Fractal. The old Scientists knew that one Concept returned on every Level of Our Inside and Outside Reality. The Corpus Hermeticus provided a seminal force in the development of Renaissance thought and culture. After the Dark Middle Ages, controlled by the Rule System of the Church of Rome, the Scientists started to do their Own Research and Thinking. The Cycle of Culture moved from the Stage of Order to the Stage of Imagination. One of these Scientists was Giordano Bruno. Bruno was born in 1548. At the age of 17, he entered the Dominican Order, was trained in the Liberal Arts of that time and became an ordained priest in 1572 at age 24. During his time in Naples he became known for his skill with the Art of Memory and on one occasion traveled to Rome to demonstrate his System before Pope Pius V and Cardinal Rebiba. The Art of Memory belonged to the rhetoric tradition as a technique which enabled the orator to deliver long speeches from memory with unfailing accuracy. At that time people had to Learn a lot of information by Heart. To do this they used a Mnemonic System called a Memory Palace. The memory images were linked with visualized locations that could be found in architecture, books, sculpture and painting, which were seen by practitioners of the Art of Memory as Externalizations of Internal Memory. Artists used the Images that were part of the Memory Palace as a reference. The Images were linked with Universal Concepts. In the time of Middle Ages and the Renaissance people knew the Meaning of every Image that was used. 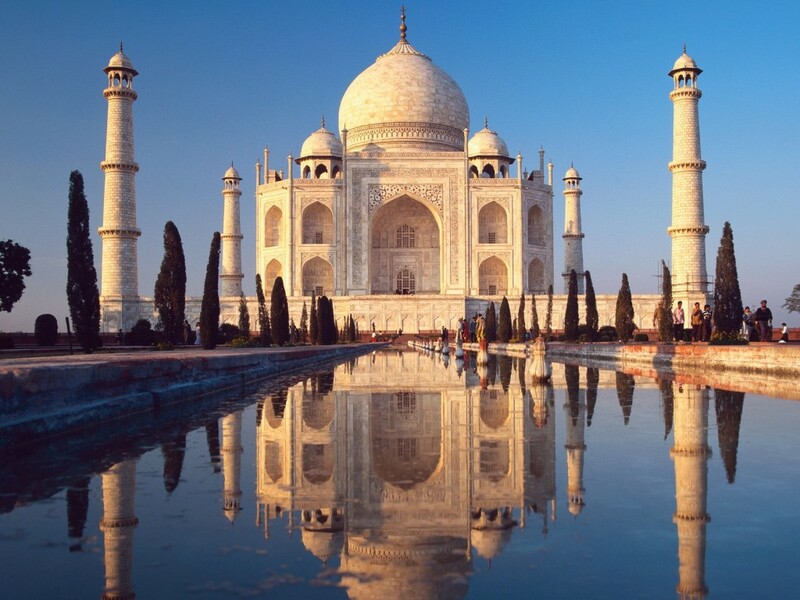 Geometric Structures, Paintings, Poems and Buildings were carriers of many Levels of Meaning. Some of these levels were only known by the Inner Circle of Ancient Secret Societies. In the old days the Inside World was seen as the most important place to Explore. The Outside was nothing but a Projection of the Inside. 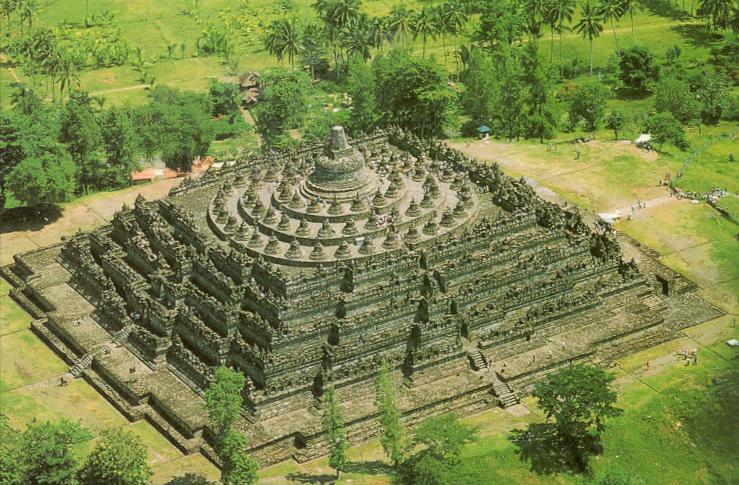 Examples of Ancient Memory Palaces are Ancient Egypt, the City of Meru (Sri Yantra), the City of Heliopolis, the Babylonian Ziggurat, the Egyptian Pyramid, The Temple of Solomon, and the most important Memory Palace, the Zodiac. 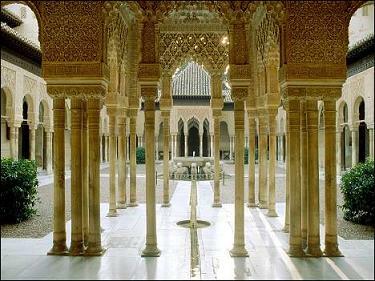 In the Middle Ages Cathedrals (Chartres), Palaces (Alhambra) and Temples (Taj Mahal) were designed and used as Memory Palaces. One of the most important Christian Memory Palaces is the New Jerusalem. It is a Vision about the New Earth that will arise after the Seven Seals are Broken and the Seven Trumpets have Sounded. The Seven Trumpets are a symbol of the Seven Chakra’s. The Apocalyps, the opening of the Seventh Seal, is a symbol of the Jump of the Kundalini to the Kingdom, the New Jerusalem. A large portion of the final two chapters of the Bible deals with John of Patmos’ Vision of the New Jerusalem. 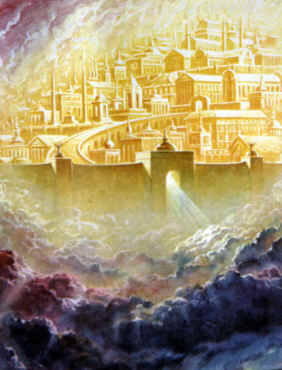 He describes the New Jerusalem as “‘the bride, the wife of the Lamb’“. After John witnesses the new heaven and a new earth “that no longer has any sea“, an angel takes him “in the Spirit” to a vantage point on “a great and high mountain” to see the New Jerusalem’s descent. 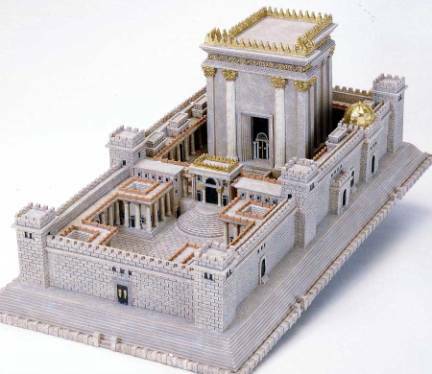 According to John, the New Jerusalem is “pure gold, like clear glass” and its “brilliance [is] like a very costly stone, as a stone of crystal-clear jasper.” The New Jerusalem is a Symbol of the Renewal of Religion that will take place and which secures the Prosperity of the Human World. “Some place is chosen of the largest possible extent and characterised by the utmost possible variety, such as a space house divided into a number of rooms. Everything of note therein is carefully committed to the memory…The next step is to distinguish something [to be remembered] by some particular symbol which will serve to jog the memory…. These symbols are then arranged as follows. The first thought is placed, as it were, in the forecourt; the second, let us say, in the living-room; the remainder are placed in due order all round… and entrusted not merely to bedrooms and parlours, but even to the care of statues and the like. This done, as soon as the memory of the facts requires to be revived, all these places are visited in turn and the various deposits are demanded from their custodians, as the sight of each recalls the respective details” (Quintilian Institutio Oratoria, Book XI). The Art of Memory was a very important Art because Manuscripts were very rare and the use of Manuscripts and Symbols was seen as the major cause of the detoriation of society. Books produced “fake” scientists who are not wise but only appear to be wise. “For this invention will produce forgetfulness in the minds of those who learn to use it, because they will not practise their memory. Their trust in writing, produced by external characters which are not part of themselves, will discourage the use of their own memory within them. You have invented an elixir not of memory but of reminding; and you offer your pupils the appearance of wisdom, not true wisdom, for they will read many things without instruction and will therefore seem to know many things, when they are for the most part ignorant and hard to get along with, since they are not wise, but only appear wise” (Plato, Phaedrus). Giulio Camillo was one of the most famous men of the 16th century. With a commission of 1200 ducats from the King of France, Francois I, he created a theatre that contained divine powers: whoever entered the theatre would emerge with a complete memory of all the knowledge that had ever existed. The design of his theatre is described in his book L’idea del teatro written in 1554, the last year of his life. The theatre consisted of Seven Levels and contained the complete Knowledge of the Corpus Hermeticum. “Following the order of the creation of the world, we shall place on the first levels the more natural things…those we can imagine to have been created before all other things by divine decree. Then we shall arrange from level to level those that followed after, in such a way that in the seventh, that is, the last and highest level shall sit all the arts… not by reason of unworthiness, but by reason of chronology, since these were the last to have been found by men” (Guilio Camillo). The Design of the City of Meru is based on the Sri Yantra-generator. This Generator generates Quasi-Crystals and Penrose Tilings. 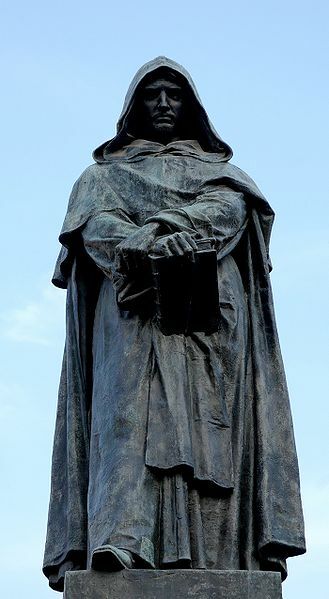 At the time of Gordiano Bruno Copernicus detected that the Sun was the Center of our Planetary System. His discovery was in conflict with the Theories that were educated at the Universities that were controlled by the Church of Rome. Gordiano Bruno saw that the new theories were in line with the teachings of the Corpus Hermeticum in which the Sun (of Heliopolis) was in the Center. Bruno started to Fuse the Knowlegde of the Corpus Hermeticum with his already highly advanced Memory System. At that time the power of the Church of Rome was going down rapidly. Europe was divided by religious wars between Catholics and Protestants. The merchants, bankers and artisans of Europe’s largest cities and towns resented the fact that local bishops of the Church controlled all of their commercial and economic activities. Priests married and then took mistresses, holy offices were bought and sold for the highest price, incompetence among the clergy became the rule, the congregation of more and more people in towns and cities perhaps exposed the amorality and immorality of the clergy. 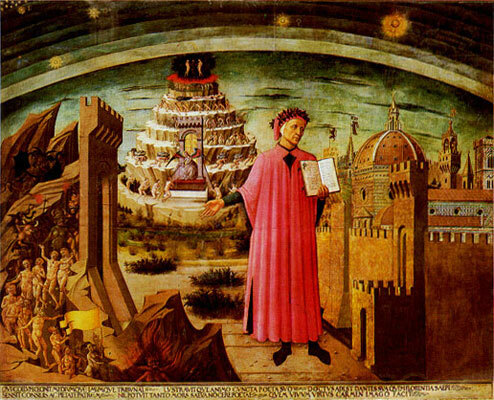 Gordiano Bruno believed he had to create a new Religion based on the Ancient foundation of Religion he found in Egypt. Gordiano was a free-thinker and he never stopped expressing his own believes. When he learned that an indictment was being prepared against him in Naples he fled the convent and started to travel Europe. He visited the French King Henry III, the English Queen Elizabeth, Wittenburg , the Center of the Protestant Movement, the city of Prague and Emperor Rudolf II. At every place he came he started to educate the others in his Expanding (forbidden) Vision of the Infinite Universe. At every place his free-thinking brought him into a conflict and he had to move on. In 1592 he was lured to Venice, arrested by the Inquisition and transported to Rome. In 1600 he was convicted and publicly burned at the Campo de’ Fiori in Rome. In 1889 a Statue was erected at the place of his execution. 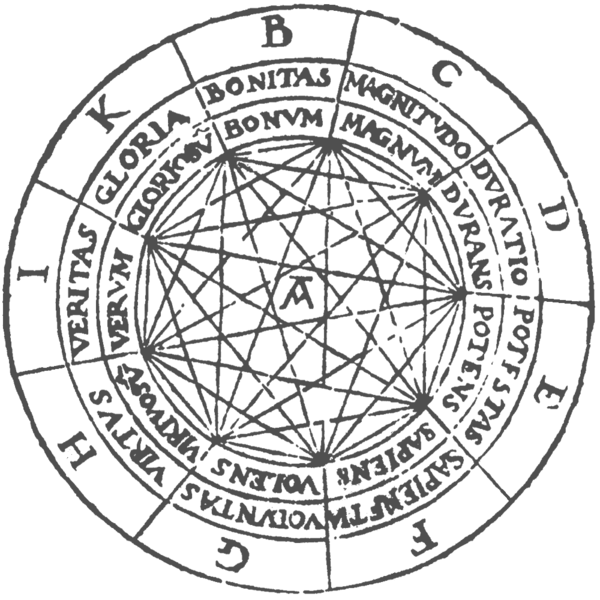 At the time of Gordiano Bruno many of the important people where highly interested in Magic, Alchemy and Astrology. One of the people Gordiano visited, the Emperor Rudolf II, practised Alchemy in his own private laboratory and spared no expense in bringing Europe’s best alchemists to court, such as John Dee, the personal alchemist of Queen Elizabeth. 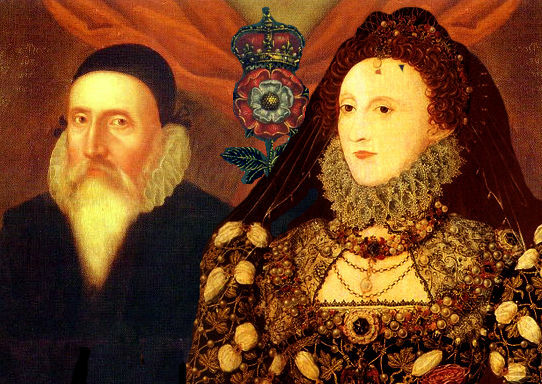 There is no evidence that Giordiano Bruno met John Dee when he was in England but he was in contact with the most important people that were part of the “Hermetic Circle” of John Dee. There is a lot of evidence that Bruno was the creator of the Rosicrusians. Bruno’s books on the Art of Memory were in reality Courses in the Solar Magic taught by Hermes Trismegistus. Bruno knew that the most important tools of the Magician are the Power of his Imagination and the Connection with the Major Powers in the Hierarchy in the Heavens, the ArchAngels and the Demiurg, the Creator of the Matrix. The System of Bruno was created to make is possible to generate powerfull images and Magical Rituals to make the Right Connection (Bonding) with the Major Creators of the Universe we live in. “There are three gates through which the hunter of souls (the Magician) ventures to bind: vision, hearing and mind or imagination. If it happens that someone passes through all three of these gates, he binds most powerfully and ties down most tightly.” “He who enters through the gate of hearing is armed with his voice and with speech, the son of voice. He who enters through the gate of vision is armed with suitable forms, gestures, motions and figures. 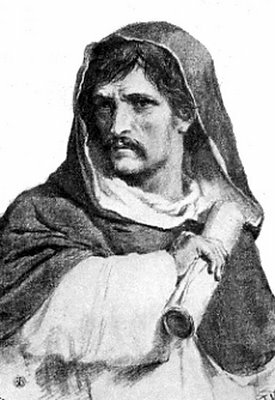 He who enters through the gate of the imagination, mind and reason is armed with customs and the arts.” (Giordano Bruno, Theses de Magia, Vol. LVI). An Astrologial Image of Bruno. It contains the Lyre of David (an Ancient Pole Star). Robert Fludd was born in England in 1574, thirty years after Giordano Bruno was born. Between 1598 and 1604, Fludd studied the Liberal Arts on the European mainland. Robert Fludd was one of the last Hermetic Scientists of the Renaissance. In his life he tried to describe everything that was known until that day. Robert Fludd was a Rosicrucian. One of his products is a Musical Memory Palace and a Memory Theatre, the Globe, that was used by Lord Chamberlain’s company to which Shakespeare belonged. 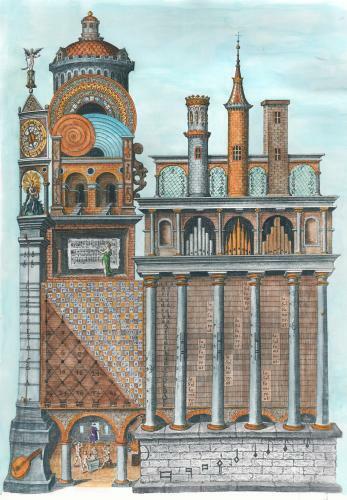 In the view of Fludd a theatrical play was a Projection of a part of a Memory Palace. The Theatre was a tool to educate the Elite (and the Masses) into the Hermetic Whole. The work of Bruno and Fludd was taken over by many other Scientists but the relationship between the Art of Memory and Magic slowly faded away. At the end of the Renaissance Reason, Logic, became much more important than the Seven Liberal Arts. The Scientists of the Age of Enlightment wanted to get rid of the Delusions of the Imagination. The only thing that counted were Facts observed by the Senses. Leibniz (1646-1716) was one of the exceptions. He was an Old Fashioned Renaissance Magician and believed in the Harmony of the Spheres. He invented many theories that proved his Point of View and are now proven to be Right. He believed that scholarship or “perfect knowledge of the principle of all sciences and the art of applying them ” could be divided into three equally important parts : the Art of Reasoning, the Art of Inventing (Combinatorics) and the Art of Memory and the Imagination (Magic). He even wrote an unpublished manuscript about the Art of Memory. Leibniz got into a big conflict with Newton about the Role of the Imagination and Scientific Discovery in Society. Afther his death Newton and his Protectors, the Medici of Florence, started an effective campaign to prove that Newton was the inventor of the Theories of Leibniz. This is the reason why Newton became the major Scientist of his time. 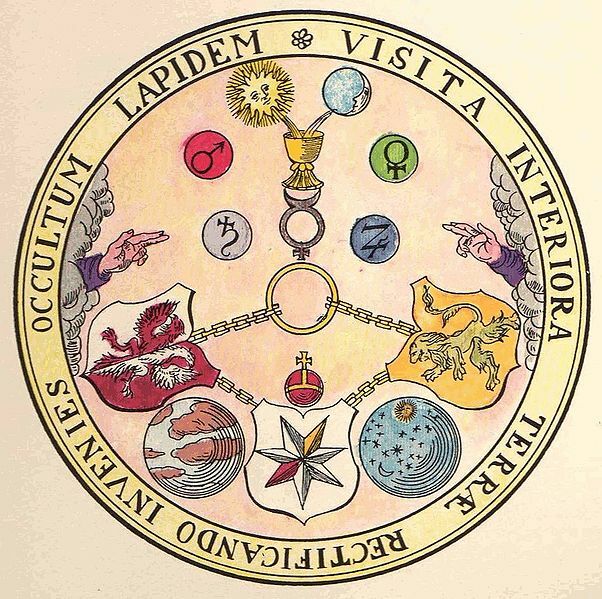 The Rosicrucian Rose with the Trinity of the Chained Lion of the Sun, the Unicorn of the Moon and the Crossed Triangels of the Center, the Heart Chakra. After the Renaissance, the Stage of the Imagination, the Cycle of Culture moved to the Stage of the Emotions, the Time of the French Revolution. The Old Social Structures of Europe started their big Transformation. Around 1740 the Industrial Revolution started in England and the Theories of Newton, Descartes and Kant about the Cold Mechanical Reasoner without Feeling and Imagination took the Lead. The ultimate products of the Industrial Revolution, the Computer and the related Factory-Model are now the Leading Paradigm. The link between the Machine that Controls and Generates our Universe (the Yantra), the Ideas/Concepts that govern our Universe and the related mostly Astronomical Symbols is now completely lost. Almost nobody is able to understand and value the Ancient Knowledge of Heliopolis that Scientists like Gordiano Bruno and Robert Fludd were trying to reconstruct during the Renaissance. The Medici and their Successors, the Big Bankers and Merchants, finally succeeded in the Destruction of the Imagination and the Emotions. Starting 1950 the Cycle is moving into a new Renaissance. After the Invention of Quantum Mechanics (inspired by Robert Fludd) it becomes clearer and clearer that The Imagination is the Major Power that Creates and Sustains our Universe. The Ideas of Bruno, Fludd, Plato, the Corpus Hermeticum and the Ancient Knowledge of Heliopolis are coming Back. One of the most interesting scientists of the Art of Memory is Alan Turing. He constructed a very simple machine now called a Turing Machine that contained a Memory and a Writing Device that could move backwards and forwards. With the help of this simple Device Turing was able to solve many Mathematical Problems. At the end of his Life just before he committed suicide he started to research Morphology, the Science of the Forms. The Current University System is highly fragmented. It needs a general principle to Unite all the now diverging Subjects of Investigation. The complexity of our Science is enormous. The link between Science, Art and Religion is gone. We are in the same state as the World was at the end of the Middle Ages. Perhaps we could introduce the Memory Palace again. It would certainly help to improve the Memory of the Students who are now Copying and Pasting the Internet. Behind The Memory Palace lies the theory of the Fractal Universe (“As Above, So Below“) and the Trinity-Pattern. The Same Pattern Repeats itself on every Level of Existence. The Fractal Universe simplifies Science enormously! Perhaps the Modern Scientists could start to look for Repeating Structures on many Levels and Exchange these Structures. They could start to listen to the Scientists of Physics and Mathematics who have already found the fractal patterns. 2. A medieval officer of high rank, usually serving as military commander in the absence of a monarch. 3. On VOC ships responsible for the supply and execution of munition. 4. 2004, Europe: thrower of ideas (instead of munition).